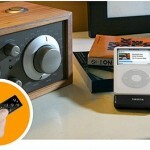 The iMirror iPod dock and remote control from Bexy gives you control over you iPod from up to 150 feet away. The wireless remote has an LCD built-in that automatically loads and displays the media content of your docked iPod and allows you to control the playback without having to get out of your seat. 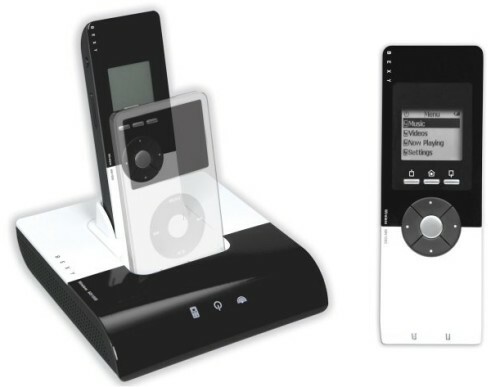 The iMirror iPod dock has outputs of S-Video, RCA stereo audio/video, 3.5mm headphone jack, line audio mini-stereo connectivity and USB. 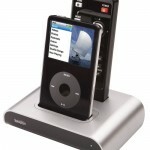 It can be connected to a computer to handle syncing your iPod with iTunes and can output audio and video to your home stereo or TV. 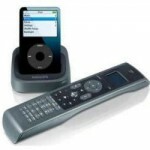 The dock also charges both the remote control and the iPod when docked. Also noteworthy with the iMirror is it’s smooth look. Bexy did a good job making both the dock and the remote reflect the clean style of the iPod and providing a unit that will make a nice aesthetic compliment to your home theater.